The failure of many teacher and leader preparation programs to address the demands educators will face upon graduation, or the needs of districts who will hire them, is unfair to teachers and devastating to students, especially the low-income students and students of color new teachers are likely to teach. 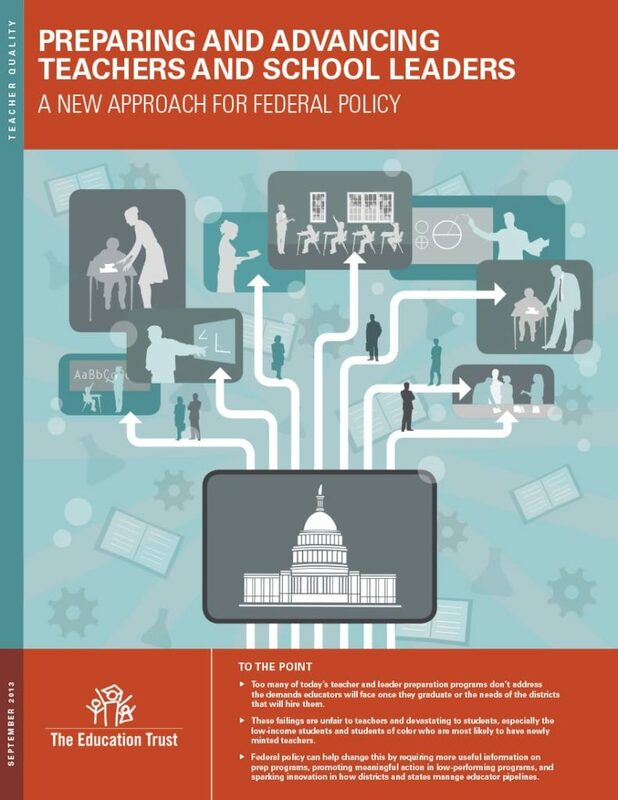 “Preparing and Advancing Teachers and School Leaders: A New Approach for Federal Policy” pushes for federal policy to require the collection of more useful information on preparation programs, meaningful action on low-performing programs, and more innovation in how districts and states manage educator pipelines. Sarah Almy, recent past director of teacher quality and the paper’s lead author, answered some questions about the importance of improving leader and educator programs and the role the federal government can play.